Light, love and inspiration – revel in the beauty and whimsy of Paris in the spring while celebrating ‘la joie de vivre’ and all that embodies the heart of Children’s Hospital Los Angeles. Join us for the hospital’s biennial Gala, which pays tribute to our courageous children and the exceptional physicians, researchers and caregivers who change lives through the spark of discovery and the healing power of compassion. Held at The Event Deck at L.A. LIVE in downtown Los Angeles, the Gala has become a highlight of the event season. Hosted on Oct. 20, 2018 in a luxurious setting with an exciting atmosphere, premier entertainment and sumptuous cuisine prepared by world-famous chefs, the night is a tribute worthy of one of the best children’s hospitals in the nation. Children’s Hospital Los Angeles creates hope and builds healthier futures for children and families all over Southern California and beyond. At our hospital, every aspect of the health care experience is kid-focused, and families heal together while bravely facing the challenges of illness and injury. Your support allows us to provide the critical treatments that help save young lives today while we seek breakthrough therapies that will save and improve the lives of children tomorrow. 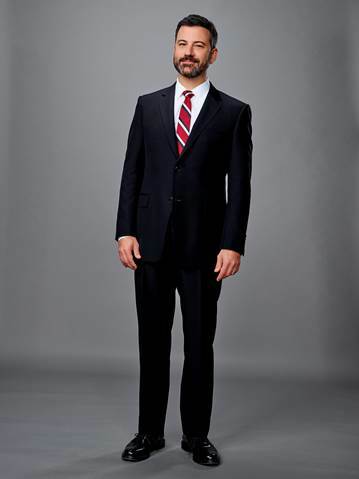 Jimmy Kimmel serves as host and executive producer of the five-time Emmy Award-nominated Jimmy Kimmel Live, ABC’s longest-running late-night talk show. Now in its fifteenth season, Jimmy Kimmel Live produces some of the most popular comedy bits in late night and features a diverse lineup of guests including actors, musicians, athletes, comedians, authors, politicians, newsmakers and the occasional random weirdo. Kimmel’s monologue skewers pop culture and up-to-the minute news. Jimmy Kimmel Live airs weeknights at 11:35/10:35 PM CT, broadcasting from Disney’s El Capitan Entertainment Center in Hollywood. In addition to the nightly show, annual specials like Jimmy Kimmel Live: After The Oscars and Jimmy Kimmel Live: Game Night are well-known for their all-star comedy videos. Videos including “I’m F**king Matt Damon,” “I’m F**king Ben Affleck,” “The Handsome Men’s Club,” “Movie: The Movie” and “Movie: The Movie, 2V” have become hugely popular on television and online. Outside of his Jimmy Kimmel Live duties, Kimmel has hosted some of the biggest events and moments in pop culture. Most recently, Kimmel could be seen as host of the Oscars, a role for which he received much critical acclaim. He will return as host of next year’s Oscars on March 4th, 2018. The move marks the first time the Academy Awards telecast will have the same host two years in a row since the 1990s. Previously, Kimmel hosted both the 64th and 68th Annual Primetime Emmy Awards as well as the annual White House Correspondents’ Association Dinner in Washington D.C.
After twelve years in morning radio, Kimmel got his start in television as co-host of Win Ben Stein’s Money on Comedy Central, for which he won an Emmy for Best Game Show Host in 1999. Kimmel co-hosted, co-created and executive produced 100 episodes of The Man Show for Comedy Central. Kimmel served for four seasons as on-air prognosticator for Fox NFL Sunday; co-created, executive-produced, and co-starred in Crank Yankers for Comedy Central/MTV; and co-created and executive-produced The Andy Milonakis Show for MTV and MTV2. Kimmel and his wife Molly welcomed their son, Billy, in April of 2017. Billy was born with rare congenital heart defect, Tetralogy of Fallot with pulmonary atresia, which was first detected hours after birth. At just three days old, Billy underwent successful open heart surgery at Children’s Hospital Los Angeles – a story that Kimmel bravely shared upon his return to Jimmy Kimmel Live! in a heartfelt monologue that touched millions of viewers around the world. Vin Scully is an American retired sportscaster. He spent 67 seasons with the Los Angeles Dodgers, starting in 1950 and ending in 2016. His run constitutes the longest tenure of any broadcaster with a single team in professional sports history, and he is second only to Tommy Lasorda in terms of number of years associated with the Dodgers organization in any capacity. He retired at age 88 in 2016, ending his record-breaking run as their play-by-play announcer. Scully received the Ford Frick Award from the National Baseball Hall of Fame in 1982, was honored with a Lifetime Achievement Emmy Award for sportscasting and received induction into the National Radio Hall of Fame in 1995. 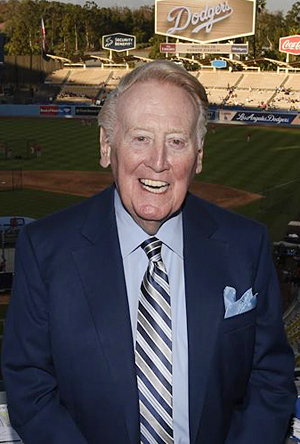 The National Sportscasters and Sportswriters Association has named Scully as National Sportscaster of the Year three times (1965, 1978, 1982), California Sportscaster of the Year 32 times, and inducted him into its Hall of Fame in 1991. He was the 1992 Hall of Fame inductee of the American Sportscasters Association, which also named him Sportscaster of the Century in 2000 and top sportscaster of all-time on its Top 50 list in 2009. On November 22, 2016 Vin received the Presidential Medal of Freedom at the White House from President Barack Obama. Vin and his wife Sandra have 5 children, 16 grandchildren, and 3 great-grandchildren. 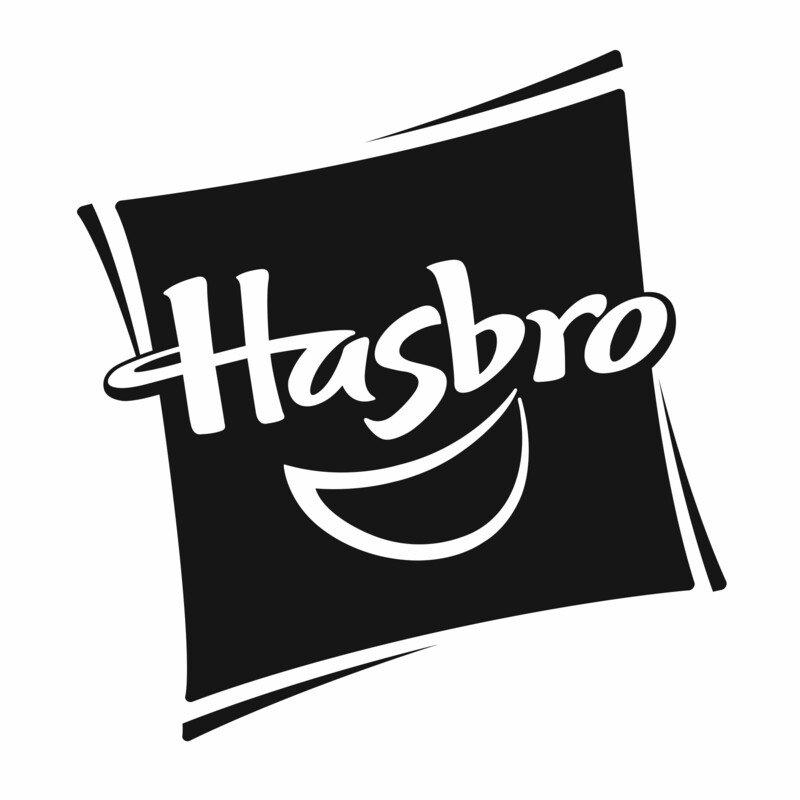 Hasbro is a global play and entertainment company committed to Creating the World’s Best Play Experiences. From toys and games to television, movies, digital gaming and consumer products, Hasbro offers a variety of ways for audiences to experience its iconic brands, including NERF, MY LITTLE PONY, TRANSFORMERS, PLAY-DOH, MONOPOLY, BABY ALIVE and MAGIC: THE GATHERING, as well as premier partner brands. Through its entertainment labels, Allspark Pictures and Allspark Animation, the Company is building its brands globally through great storytelling and content on all screens. Hasbro is committed to making the world a better place for children and their families through corporate social responsibility and philanthropy. Hasbro ranked No. 1 on the 2017 100 Best Corporate Citizens list by CR Magazine and has been named one of the “Most Community Minded Companies in America” by the Civic 50. Through its philanthropic programs, including BE FEARLESS BE KIND, Hasbro stands up for children, passionately working to create a universe where every child experiences hope, kindness and joy. Since opening its offices in Los Angeles, Hasbro has been a proud supporter of the Children’s Hospital of LA. Tickets and tables for the gala are currently SOLD OUT. To inquire about the wait list or other ways to support the event, please contact Michael Sandler at (323) 361-1744 or msandler@chla.usc.edu. Sponsorships for the event are currently SOLD OUT. To inquire about the wait list or other ways to support the event, please contact Michael Sandler at 323.361.1744 or msandler@chla.usc.edu. Dr. Starnes completed two years at Stanford University as a resident in cardiovascular surgery, and one year as chief resident in cardiac transplantation. He accepted a fellowship in pediatric cardiovascular surgery at the Hospital for Sick Children in London. When he returned to Stanford, he was appointed director of Stanford’s heart-lung transplantation program. In 1990, Dr. Starnes performed the world’s first lobar transplant using a lung segment from a living donor. Three years later, he performed the first live-donor, double-lobar lung transplant on a patient with cystic fibrosis. The operation involved taking lung tissue from each parent and transplanting it into their child. He and his surgical team also performed Southern California’s first robotic heart operation in 2001 as part of the clinical trial evaluating the use of a remote surgical system. 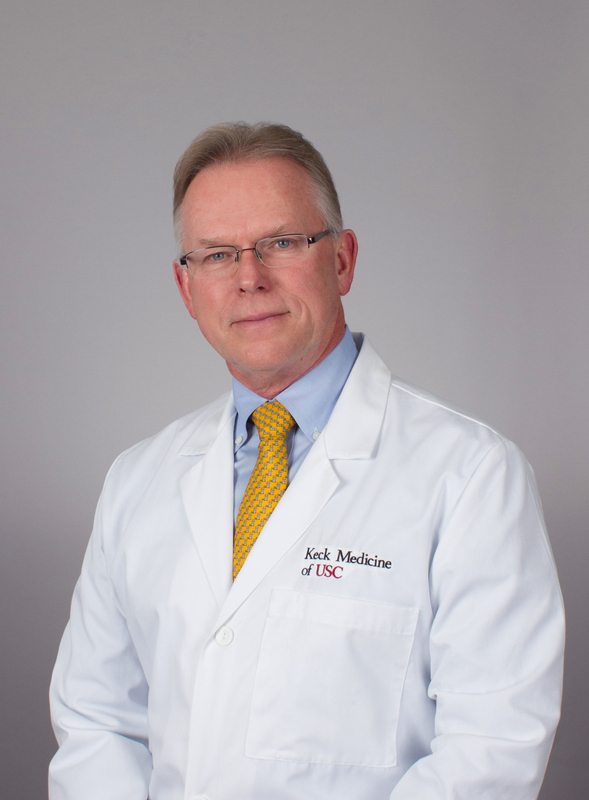 In addition to his clinical work, Dr. Starnes is a distinguished researcher. He has an ongoing interest in many areas of research, including congenital heart disease, cadaveric and live-donor organ transplantation, coronary bypass grafting, and repair and replacement of heart valves. 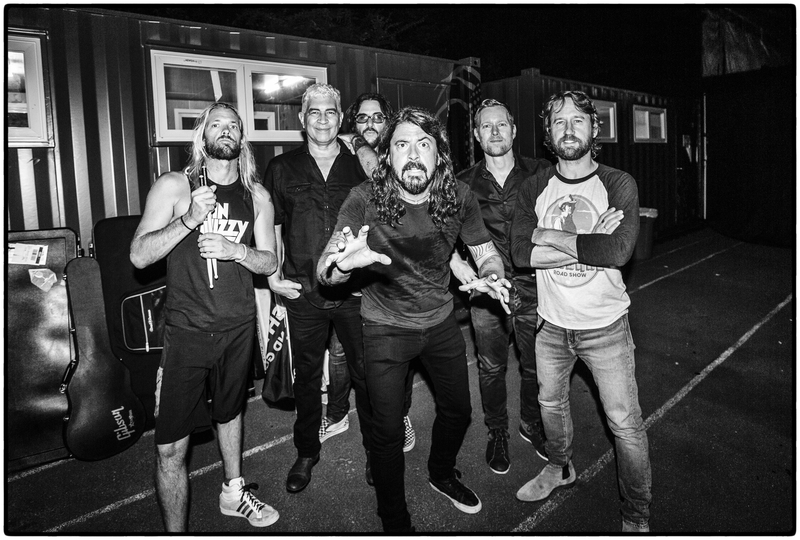 In the 22 years since the 1995 release of Foo Fighters’ self-titled debut album, Dave Grohl, Taylor Hawkins, Nate Mendel, Chris Shiflett, Pat Smear and Rami Jaffee have grown into the last great American arena/stadium rock band, won 12 Grammy Awards, sold 25 million records and spawned anthems like “This Is A Call,” “Everlong,” “Monkey Wrench,” “My Hero,” “Learn To Fly,” “All My Life,” “Times Like These,” “Best Of You,” “The Pretender,” “Walk,” “These Days,” “Something From Nothing,” Run,” “The Sky Is A Neighborhood” and more. Foo Fighters’ monolithic catalogue includes the band’s eponymous 1995 debut, 1997’s double-platinum sophomore effort The Colour and the Shape, There Is Nothing Left To Lose, One By One, the epic double In Your Honor, Echoes, Silence, Patience and Grace, Wasting Light, Sonic Highways—which shared its title with the double-Emmy-winning Dave Grohl-directed HBO docuseries—and most recently, Concrete and Gold. Released September 15, 2017, Concrete and Gold is Foo Fighters’ ninth album and second to hit #1 in the U.S.. Concrete and Gold has also posted the band’s biggest ever first week numbers outside its home country, including the band’s fourth UK #1, seventh Australian #1, sixth #1 in New Zealand, third Canadian #1, and #1 debuts in Ireland, Norway, Austria, Greece, Japan and the Netherlands. Concrete and Gold’s arrival was heralded by “The Sky Is A Neighborhood,” and the June 1 surprise release of the Billboard Mainstream Rock #1 smash summer anthem of 2017, “Run.” And now finally 2017’s most massive and ambitious rock n roll opus is available to all. Redefining cool for a new generation, Pharrell Williams is a creative force, using music, fashion, and design to express his distinctive style. From his beginnings as a teenage prodigy and multi-instrumentalist in Virginia Beach back in the early ’90s, through enough hits to earn him Billboard’s Producer of the Decade in 2010, to his current status as multi-media superstar, Williams has never stopped creating. Starting his producing career as one half of The Neptunes with Chad Hugo, Williams has helped create such classics as “Daft Punk’s “Get Lucky,” Robin Thicke’s “Blurred Lines,” Nelly’s “Hot in Herre,” Jay-Z’s “I Just Wanna Love U (Give it 2 Me),” Britney Spears’s “I’m A Slave 4 U,” and Justin Timberlake’s “Like I Love You.” With over 100 million copies of his productions sold, his music sounds like something no one else has thought of just yet. 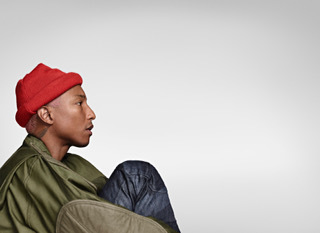 In 2016, Pharrell announced co-ownership of denim label G-Star RAW and has continued designing his own line of footwear and sportswear with adidas. His prolific body of work also includes designing a sculpture with Tokyo-born artist Takashi Murakami, accessories and jewelry for luxury goods brand Louis Vuitton, t-shirts for Japanese mega-brand Uniqlo, and a fragrance collaboration with Comme des Garçons. Williams was a producer on the Oscar nominated 2016 FOX film HIDDEN FIGURES, for which he also produced the soundtrack. In 2008, he founded From One Hand To AnOTHER (FOHTA), a foundation focused on supporting the Pharrell Williams Resource Centers’ learning programs for underserved youth in at risk communities across the nation. For the past two years, Pharrell has partnered with the United Nations Foundation for the International Day of Happiness to inspire individuals all over the globe to celebrate their unique “happy.” Pharrell completed a 23-date “Dear G I R L” tour across Europe in 2014, and was seen as a coach on Season 7, 8, 9, and 10 of “The Voice.” Now, with his latest venture i am OTHER — a multi-media creative collective that serves as an umbrella for all his endeavors, including record label, Billionaire Boys Club & ICECREAM apparel, textile company Bionic Yarn and the film Dope — Williams’s vision continues to push pop culture forward. For more information, contact Michael Sandler at msandler@chla.usc.edu or 323-361-1744.